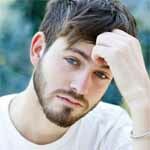 You’ve been seeing a guy for a while, all seemed to be going well, but now he seems to be acting distant all of a sudden and you have no idea why. It may not be obvious. He’s still there, he’s still around, but there has been a definite and subtle shift. Maybe he doesn’t seem as excited by your existence, maybe he isn’t as attentive, maybe he seems distracted, maybe he’s a lot more quiet, sullen, and moody. You might feel like you’re annoying him every time you try to talk to him. He may brush you off or be quick to dismiss you. You can feel him pulling away and with every tug, your level of panic increases. It’s a gut-twisting feeling. You desperately want to get the relationship back on track but you don’t know how. Every time you try things seem to get worse. Why Is He Acting So Distant? You may try asking him this very question, but it effectively gets you nowhere. He just gets annoyed or tells you everything is fine or gives you one-word answers. You can feel him slipping away and are terrified that you will soon lose him completely. Don’t worry. I’ve lived through this situation in the past so I totally understand where you’re at. But I’m going o explain to you exactly why guys act distant all of a sudden and what you can do about it so you don’t push him even further away. Freaking out isn’t going to get you anywhere. If you haven’t already noticed, you will only end up pushing him further away by panicking. Don’t let your fears run the show here. Your natural inclination might be to demand to know what’s going on, or to passive-aggressively punish him and retaliate by giving him the cold shoulder. Suffice to say, this will not work. A very important relationship skill is to learn to respond instead of reacting. When you react, you have zero control. You are a slave to your emotions. When you respond, you can take a step back, assess the situation objectively, and then choose the best course of action. If you let your fears take hold, you will be panicked, insecure, and on edge. And he will pick up on it and it will cause him to withdraw even further. Why? Because men typically move toward what feels good. When he feels that anxious energy coming off you, it will only add to whatever problems he’s already grappling with and he will shut down further. This is just how men deal with stress. Essentially you get taken over by a fear of loss. What is a fear of loss? You feel that if you lost your relationship with him, you would lose something important beyond simply not seeing him or speaking to him anymore. Losing him has big implications for you if you attach your sense of worth to his opinion of you and to your relationship status with him. You fear losing him because you will also lose some self-esteem. Fear of loss is also a fear of being not good enough, of being no OK. You’re afraid if you lose him, you won’t ever be OK, so you cling tightly and desperately. If you let your fears run wild, you won’t be able to enjoy the time you spend with him, you won’t even be present anymore. You’ll be interacting with the thoughts in your head rather than interacting with the person sitting in front of you, and that is what will ultimately cause the relationship to break down. You need to remain calm and remember that you control your thoughts, your thoughts don’t need to control you. When that cycle starts to really spin, just turn it off and steer your thoughts in another direction, in literally any direction that doesn’t involve stressing and obsessing over the relationship. Here is something to keep in mind about men. And you probably already know this, but we tend to forget the basics when our emotions get activated. Men and women respond to stress in different ways. While women typically seek comfort in those they’re close to, men often withdraw and prefer to deal with things internally and on their own. Whenever a woman asks why her guy is withdrawing or pulling away or taking space, it’s usually for this reason. She can’t understand it, even if she knows it intellectually because it’s just not our process. We lean on those we’re close with during times of stress, we don’t push them away. This is a key difference between men and women that causes a large chunk of the problems in relationships. The most common reason a man will start acting distant all of a sudden in a relationship is something outside of the relationship is demanding his time and attention, and this thing is causing a lot of emotional turmoil for him. While women immediately assume he’s acting distant because of something she did, it usually has absolutely nothing to do with her, so she drives herself half insane going over worst-case scenarios when really everything is fine. A man’s biggest fear is being a failure. If he feels like he’s failing in some area of his life, he won’t want to be seen, especially not by the woman he cares about, and he definitely won’t want to talk about it. He’ll want to work through it on his own, and then come back to the relationship when he’s feeling strong and in control again. It could be a variety of things. Maybe he’s having trouble at work, maybe he’s having financial trouble, maybe he’s having family issues, or maybe something in his personal life is amiss. Whatever it is, he needs space to deal with it and that is why he’s acting distant. Give him space! I know it’s counterintuitive. I know that your instinct is to pull him closer when you feel him slipping away, but this is a mistake. This will make him annoyed and maybe even resentful of you for not respecting what he needs. Remember, this is what he needs. He’s not trying to punish or torture you. By harping on him about being distant, you’re basically putting your needs above his. You’re putting your need for his attention over his need to deal with whatever problems he’s facing in his life. That isn’t really fair when you think about it. Why won’t he just come to you and talk about it? Because he’s not a woman and it’s not his natural instinct to do that. What feels like distance or the cold shoulder to you is really just him putting his energy and attention onto something else. Yes, it would be nice if he could articulate that better, but he can’t. So you just need to remember that’s what’s happening and try not to push the issue. The best thing you can do is just give him space (and try to do this gracefully, not resentfully) and focus on your own life for a bit. Focus on spending time with yourself or with friends. This is much healthier than spending that time stewing in anger. You can let him know you’re there if he needs you and wants to talk, but just leave it at that and don’t push it further. If he wants you, he knows where to find you. If he is dealing with a problem or internal issue, he will really appreciate you giving him the space to do so. Men know this isn’t easy or natural for most women and he will come to care for you even more if you can do this for him. 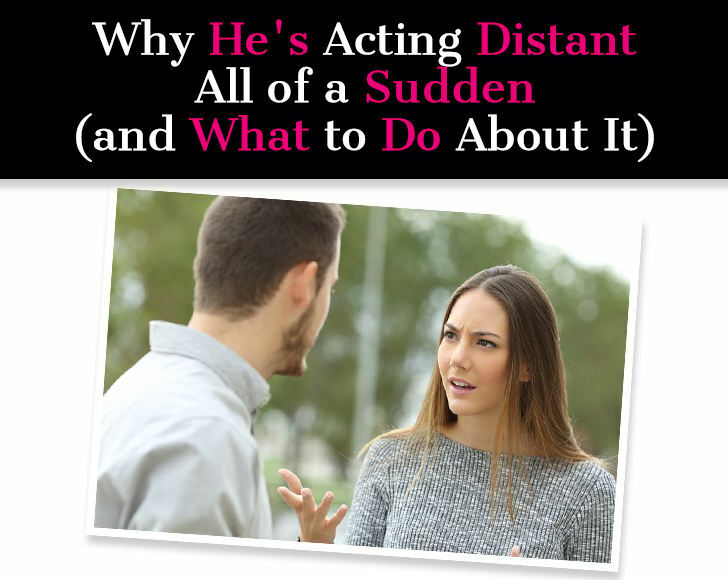 Now you might be wondering … but what if he’s acting distant because of me? What should I do in that case? Now, this is everyone’s worst-case scenario … he’s acting distant because something is off in the relationship, or something is bothering him. And it’s possible that it’s something you’re doing. The most likely reason a guy will start acting distant is that the woman is acting too needy. Now maybe you haven’t been overtly needy. The mistake people make about neediness is thinking it’s a set of behaviors. They imagine the desperate girl constantly texting the guy and badgering him, and basically acting like Kate Hudson in “How to Lose a Guy In 10 Days.” What people don’t mention is that neediness is a mindset more than a set of behaviors. And that mindset manifests in ways that come across as desperate and needy behavior. But even if you don’t commit any classic “neediness” sins, men intuitively know when a woman is coming from a needy place and it’s a visceral turn-off. Like I said before, men move toward what feels good. Men will move towards relationships that have a happy emotional tone and away from relationships that have a negative tone. A negative tone comes across as angry, cold, resentful, critical, sad, bitter, and so forth. How do you know if this happening? You’ll notice the tone of your relationship has just become negative. It’s no longer fun and light, there’s a heaviness that exists between you and things aren’t clicking like they used to. Sometimes this is due to fundamental incompatibilities and it just isn’t a match, and sometimes it’s because of neediness. When a guy senses that your emotional well-being is dependent on him, he will reflexively retreat. It’s just not a good feeling. He wants to feel wanted and desired, not needed. What do I mean by “needed?” It means you need him to respond to you in a certain way in order to feel OK. You are dependent on him in order to feel good. 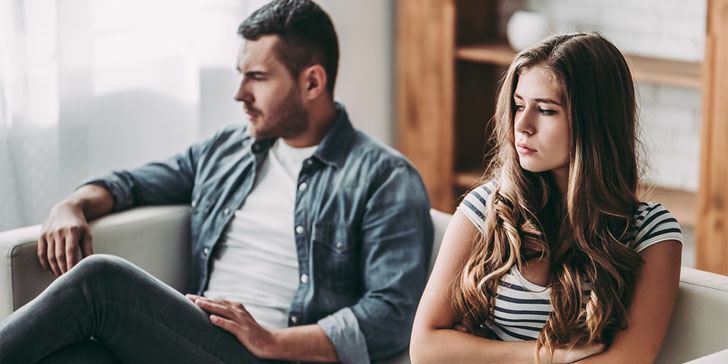 If he seems to be getting increasingly annoyed or frustrated with you, it’s very likely he feels smothered in the relationship and is trying to carve out some breathing space. If you chase after him, he’ll run even faster until you can’t even see him anymore and he vanishes completely. Yes, I know that’s what your heart is telling you to do, but your heart is wrong. Listen to your head. If he needs space from you, give him some space. You can’t shove yourself down his throat. That is not what will make a guy fall in love. The best thing to do in this scenario is back off and focus on yourself. Focus on addressing the mindsets and fears that cause you to act needy or insecure in the relationship. The worst thing to do is spend your time away from him obsessing about him. This won’t solve anything. You need to get back to yourself and get back to a place of strength and confidence. This has obvious benefits for your overall wellbeing, and you also give him the space to miss you and want to come back. This is much better than forcing him to respond in a certain way. Look, not everyone is a match. It’s just not that simple. But nothing worth having in life is freely given and easily attained. The hurt and missteps are all just a part of the journey. If he’s acting distant and you haven’t been acting needy, you know he doesn’t have any issues going on in his life, and you can tell he genuinely seems less interested in you, then it’s possible he’s having doubts or losing interest. If this is the case, there isn’t much you can do to change his mind. Everyone has their preferences when it comes to relationships. We also have baselines levels of compatibility and chemistry that we need in order to pursue things with someone. If something is missing, then it just won’t work. Don’t make the mistake of chasing after him, this won’t achieve anything and you’ll just feel foolish in the end. And don’t take it personally because it isn’t. This doesn’t mean you’re flawed or damaged or unlovable. It just means he doesn’t think it’s a match and that’s totally fine. If you give yourself a complex, then you’re just giving yourself another obstacle to overcome on the path to finding lasting love, and why do that to yourself? If he decides not to continue in the relationship, just let it go with your head held high. Try to appreciate the time you did spend with him, and leave it with no hard feelings. Remember you have a lot going for you and you will find someone else, someone who is even better suited for you. It has nothing to do with you, something outside of the relationship has taken his attention away. It’s something you are doing- the most common culprit is acting too needy. He’s having doubts about the relationship. I absolutely loved this article. 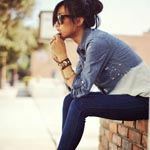 It helped put so much into perspective and was truly enlightening to his behaviors – my behaviors – and what I need to change about my reaction to the behaviors. Definitely spot on and very insightful! Thank you so much for this article!! Yestiday I had a great day and spent it with a guy who i like and thought he liked me. We’ve been seeing each other for several months but more do over the last month. We had lunch together it was just a great day in every way.i really felt he was starting to like me a lot as I even caught him watching me several times yesterday. I get a text message from him this morning and says he’s got some personal issues he’s dealing with, he’s exiting our relationship. He wishes me well. (In just those words.) We’ve been down this road before as he’s told me he’s been very hurt in past relationships and can’t get involved emotionally. I also know his job has been crazy for him. How do I take this, how do I respond or do I respond? Run, run and run some more. Been there. Wished I had have got out first time he sent a message like that. Wasted time tears and energy.